With hypnotic dream therapy you will be able to discover the meaning of your dreams with the help of hypnosis. As a dream therapist I will help you to uncover the true meaning of your dream using a technique called hypnotic dream-work, which was first pioneered by the teacher of the teachers Randal Churchill in his book “Become the dream”. As a dream therapist who has trained with Churchill I am one of the few hypnotherapists in the world who is qualified to carry out this unique and deeply transformative work. Churchill’s method combines Gestalt dialogue together with hypnosis. The dreamer is guided to re-experience the dream in the present tense while in a hypnotic trance so that they can re-experience it existentially without the aid of analysis. In fact, where the vast majority of dream-work methods rely on analysis and interpretation, this work does not involve any external arbitrary analysis but allows your own inner wisdom its voice in interpretation. The combination of dream work and hypnosis is truly a profound and transforming experience where the healing nature of dreams, and the potential of hypnosis as a therapeutic and personal growth tool comes to the fore. This type of regression is recommended to anyone wishing to seek self-knowledge and actualization. Even a sliver of a memory of a dream can be useful in this work. This is an exciting and ever so personal exploration of your subconscious mind where you get to unlock and know the secrets of your dreams. Recurring Nightmares are dreams with high emotional content and are often very relevant to a person’s life whether the dreamer is consciously aware of it or not. The reason why a dream is recurring is that it hides a message the subconscious deems as important. Until the message is given heed it will recur. The reason why often this does not happen naturally is because we either tend to dismiss dreams as nonsense or because we are scared by their seemingly negative content. What we need to remember is that for the nightmare to cease the negative emotions associated with it need to be confronted and integrated into our conscious awareness because this is precisely the nightmare’s function. 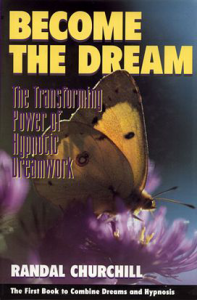 While during the process of standard dream analysis therapy the dream therapist comes up with their own interpretation of the dream’s content, hypnotic dream-work lets the dreamers themselves connect to their dream’s subconscious meaning as it applies to their own individual psyche and this leads to a profound and unique personal understanding. Once the dreamer gets the message the nightmare stops because its function has been completed and the nightmare has no more reason to exist. Hypnotic dream therapy is without doubt the best and most effective way to learn how to stop nightmares. Not only you will be able to understand the meaning of a dream and to stop recurring nightmares but also you will find your own dream explanation without an external dream interpreter who might get it wrong half the time. Because dreams are created by our subconscious mind and hypnosis allows us direct contact with the subconscious, nightmare disorders can be tackled at their root without unnecessary delays. Whether you experience night terror nightmares , recurring nightmares or think you may have a nightmare disorder, you can stop having nightmares or stop a bad dream as soon as you begin this revolutionary yet surprisingly simple work. You too can be freed from terrifying nightmares and experience pleasant dreams instead. Stop nightmares now and make a lasting change to your sleeping life. Book your dream therapist appointment now on 075 4424 7800 or contact me via email .